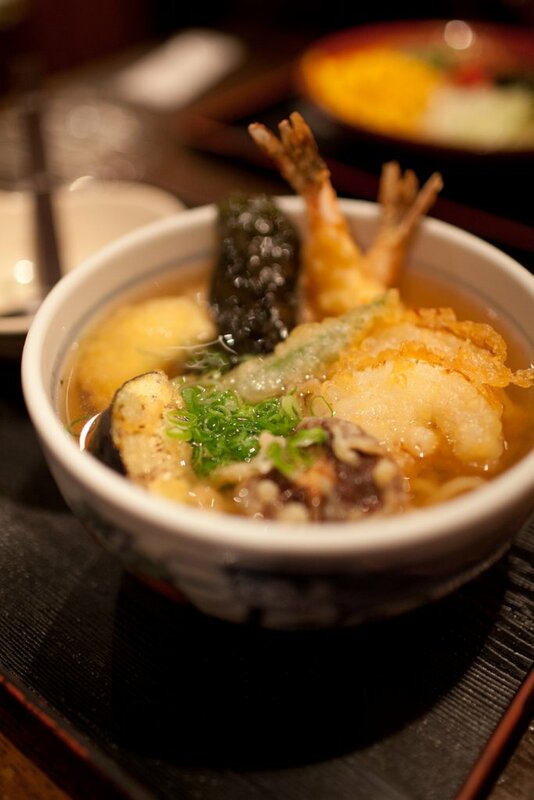 If you travel to Japan, you should not miss their wonderful food besides their captivating culture and modern city life. 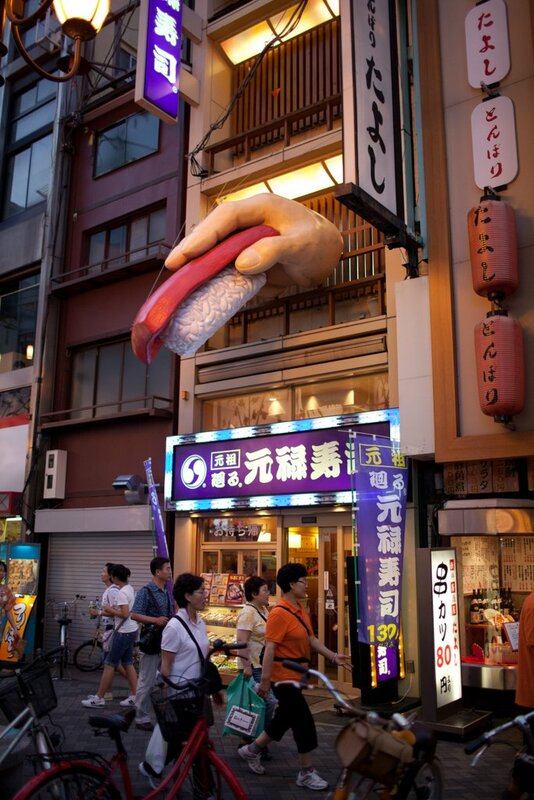 Even ordinary food becomes so drooling when it falls onto the hands of Japanese. 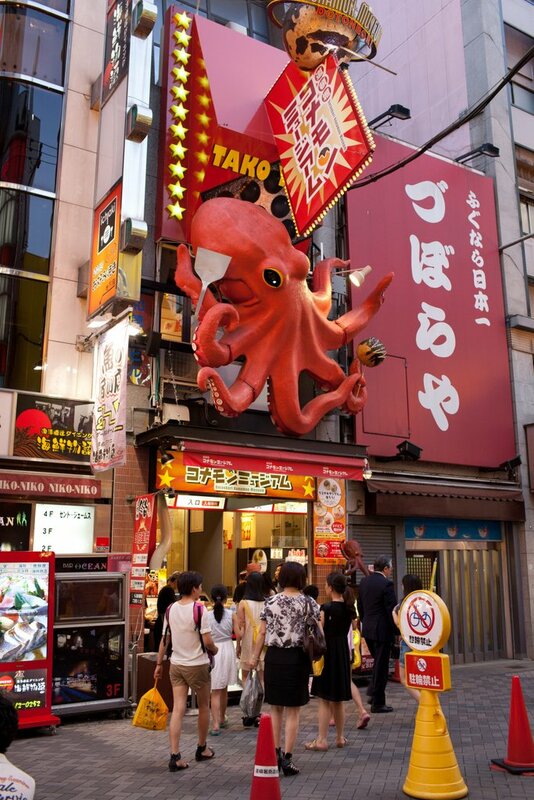 It is not hard to get indulged in the gastro-experience, as you will find different kinds of restaurants and stalls to choose from along any busy main streets. 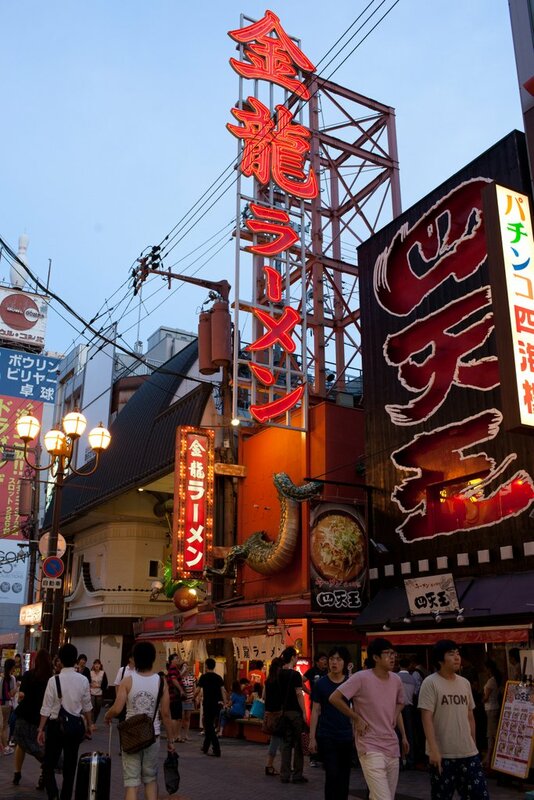 In Osaka, Dotonbori 道頓堀 is the the place, and some of the shops here won't close till midnight. 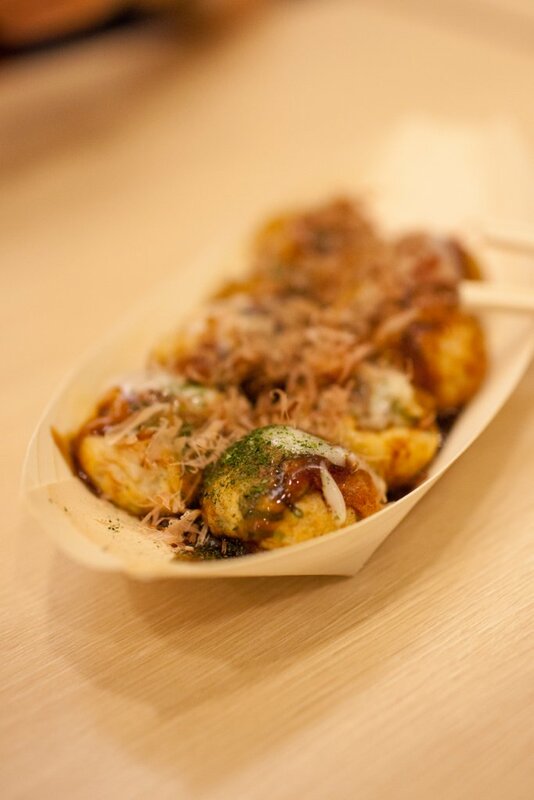 My friend told me to try this awesome octopus ball stall, and he was right. This place really deserves a queue outside. 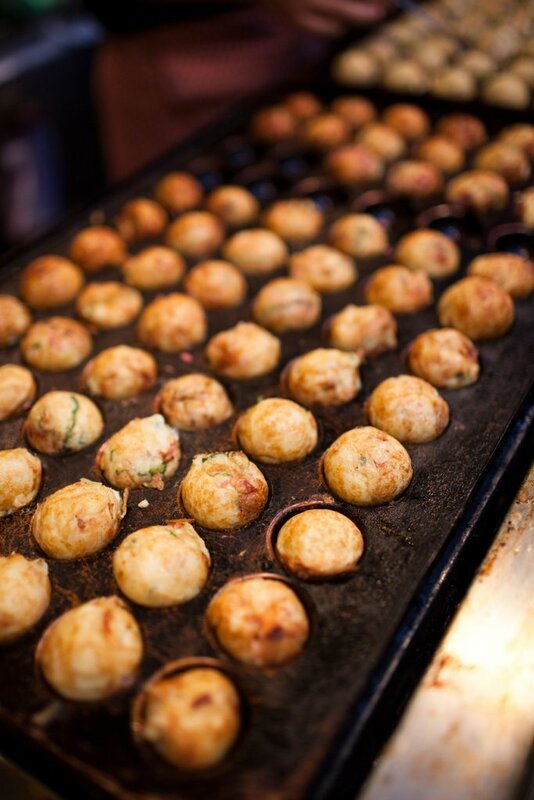 Each ball really has shreds of octopus inside, adding a strong chewing texture to the whole dish. Yummy! 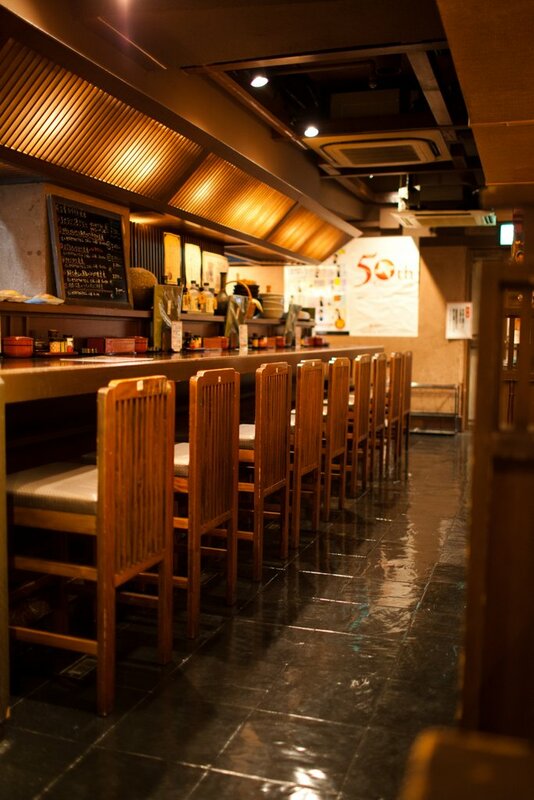 On the first day of our Osaka trip, we went to this little udon place for a quick dinner. 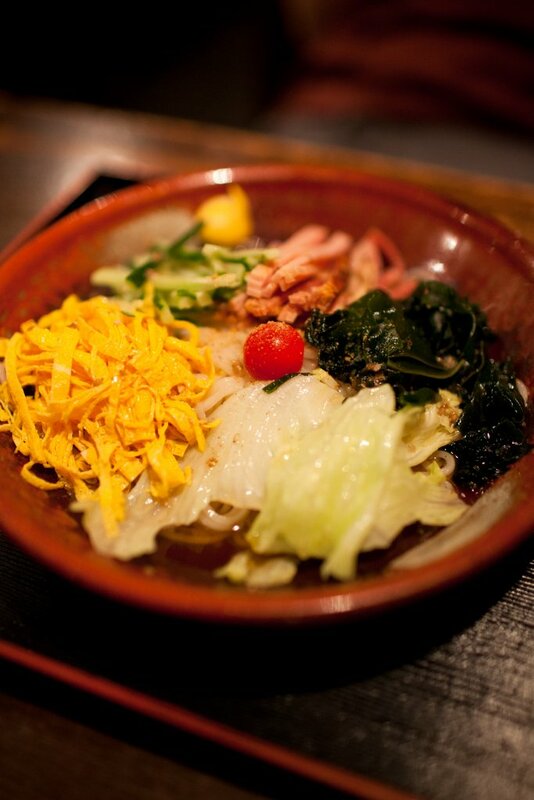 Asuki 明日喜 has several shops, which all specialize both hot and cold udon. It is nothing fancy or extremely outstanding, but if you want to have a decent and affordable soup noodle, this is definitely the place to go. The next day we took an early ride to Kyoto after breakfast, as there were so many things we wanted to see and I didn't want to waste any time. 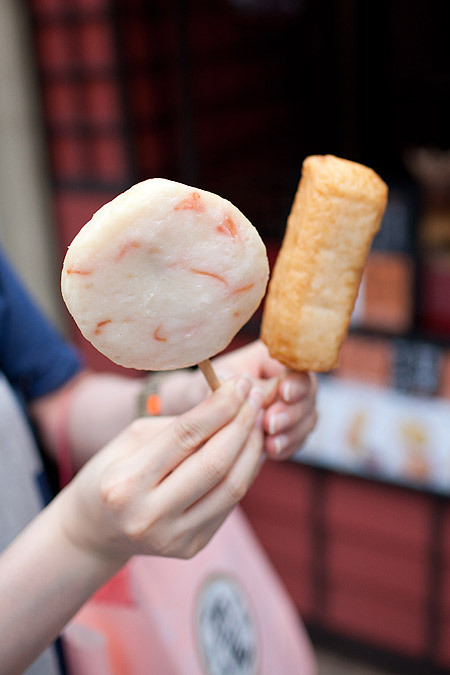 The first stop was Kiyomizu-dera (清水寺) and during the walk to the temple, I saw this and couldn't help try it despite the fact that I never ate cold dessert in the morning. 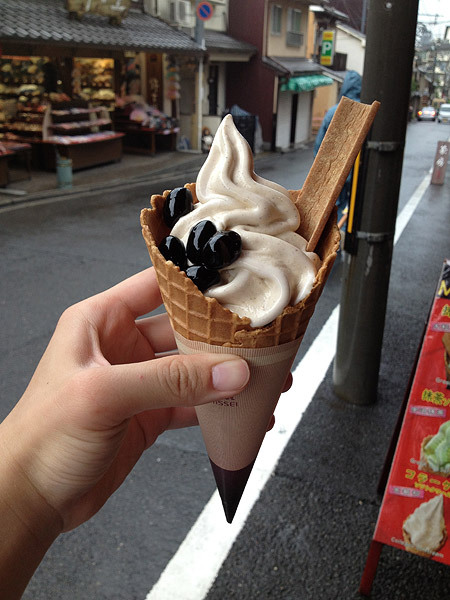 This is no ordinary ice-cream, but the black soybean ice-cream! Black soy beans 黑豆, or kuromame, contains much anti-oxidant and iron which are both good for your health. Unlike many other flavours, this ice-cream was very light and refreshing, and the extra cinnamon biscuit was an interesting addition. 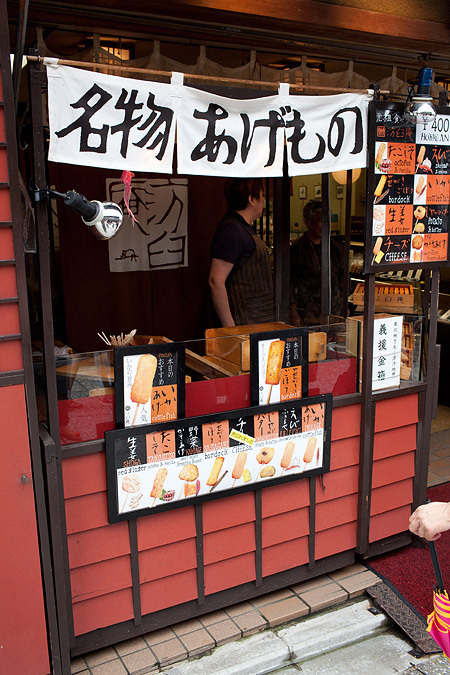 Along the road we could find different kinds of snacks, from the sweet wagashi to green tea cakes to skewers. These were actually shrimp cake skewers. 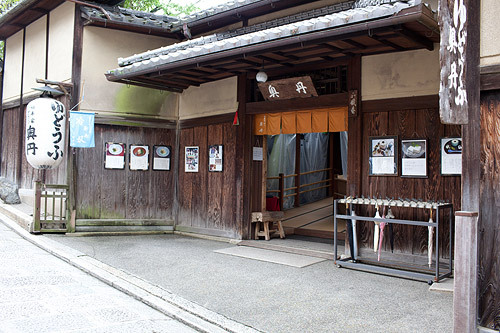 Then we came to this hidden place Kutan 奧丹 famous for its tofu meal. It was just a street away from the busy street 清水二丁目. The place was extremely quiet and serene. 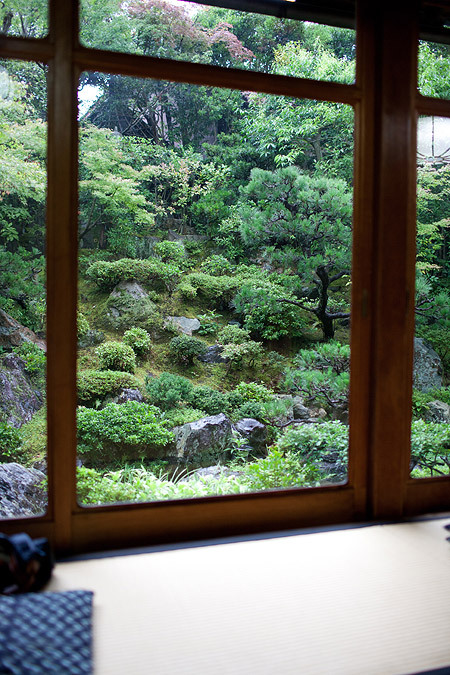 As you entered, you would find yourself in one of the two big rooms facing a beautifully arranged Japanese garden. This setting seemed to match their tofu meal very much, as the chef intended to let you enjoy the tofu set with peace of mind. The meal started with a miso cake, which was not very salty like ramen. A bowl of tororo 山藥 followed, though I am not a big fan of that. The cold tofu came first, which was awesome. 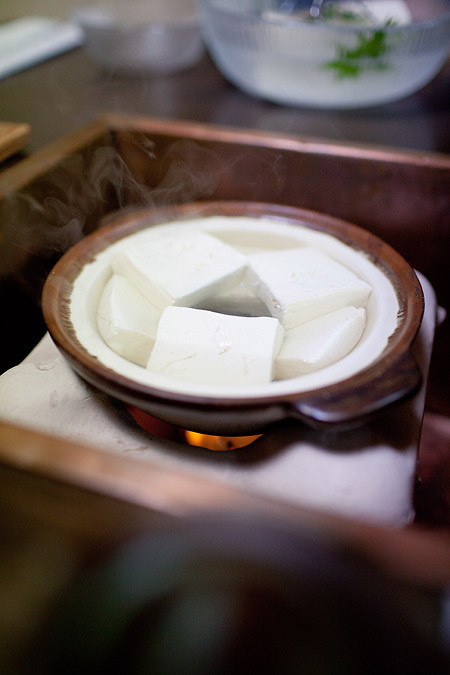 Usually cold food has a weaker flavour or smell than hot one, but this tofu is just fine here. 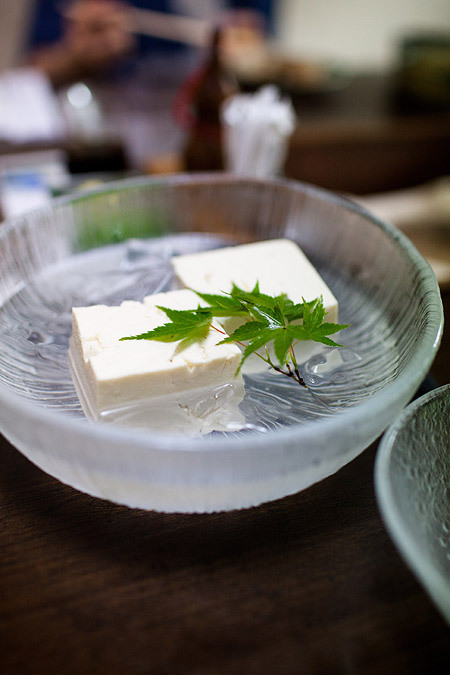 Even though tofu is not a heavy-flavoured kind of food, the cold water and ice did not kill the light taste of tofu. I never expected this cold preparation of tofu to be good, but this was refreshing. 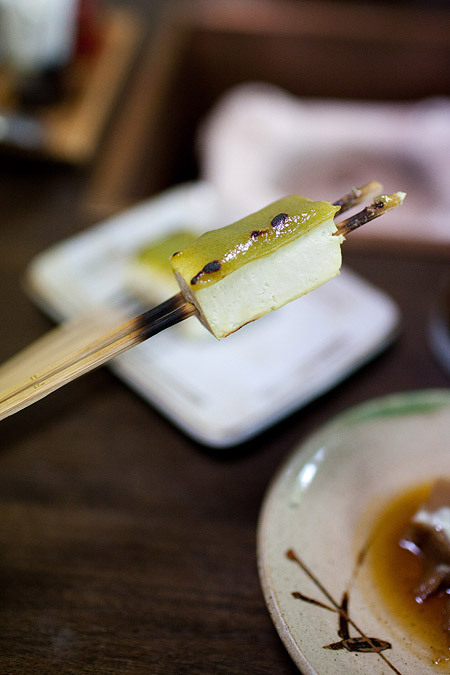 A tofu skewer followed, which had a thicker layer of miso on top of it. This was probably the strongest flavour on the table, but it was good. The hot tofu pot arrived. Again, like the cold one, this pot had nothing more and nothing less, just tofu and water. Contrary to most of the tofu preparation I have seen, the tofu here did not have any condiment added. There was just water to keep the flavour of the tofu. All the slices were very smooth and silky, and unlike those from China, did not have a strong smell of yellow beans, the raw material of tofu. Besides tofu, there was a little vegetable. 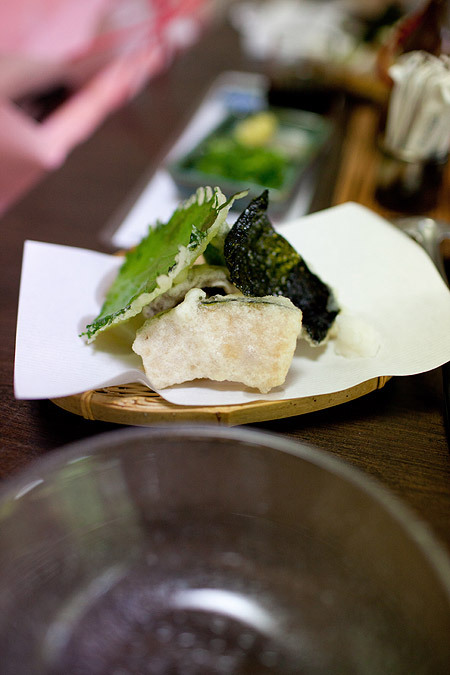 A vegetable tempura contained leave, seaweed, pumpkin and eggplant. I was amazed by the tempura seaweed, as it was so thin and fragile, yet this tempura was still firm and intact after deep frying. The tofu meal was wonderful. Not only were the several dishes of tofu nicely prepared, but the overall experience was incomparable. I could still remember the scarily quiet room with a beautiful Japanese garden, and suddenly the whole tofu meal became so poetic. 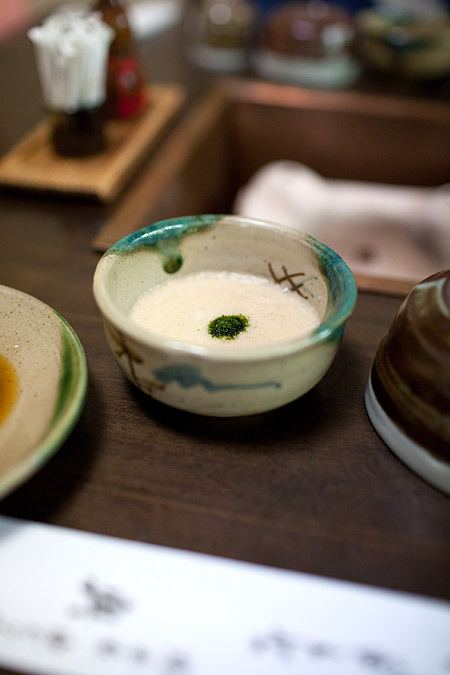 It was not just a consumption of a certian kind of food, but an overall tofu journey from taste to visual to feel. It is both physical and psychological. 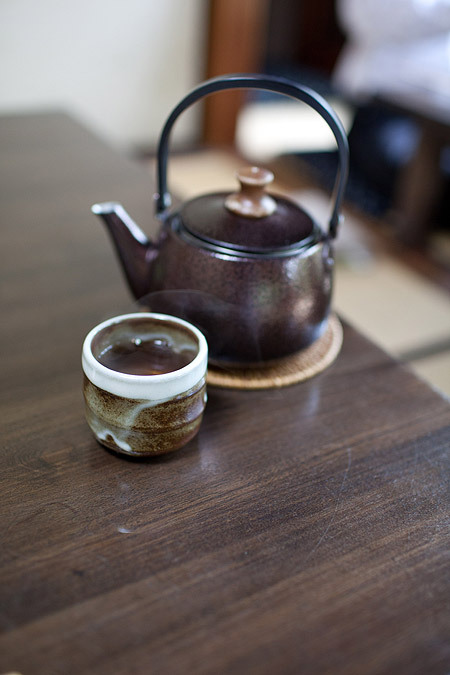 Two days later we went to Uji, a place of green tea and related products. 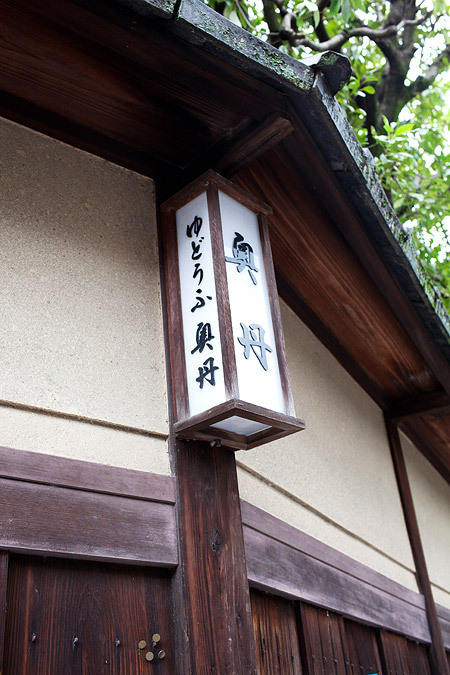 We went to Itohkyuemon 伊藤久右衛門 for the best green tea things in the town. 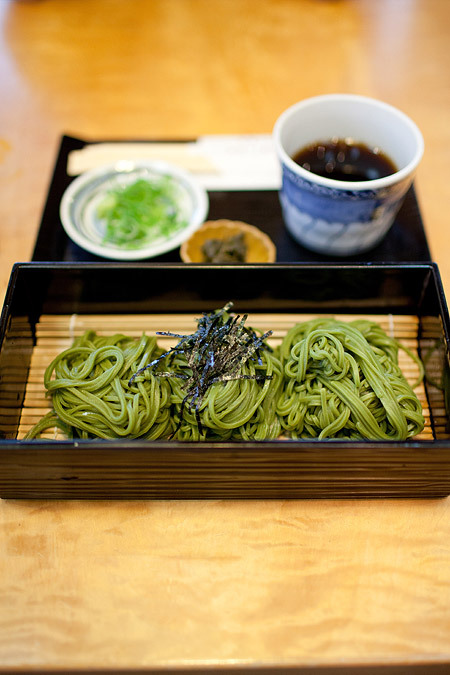 We immediately ordered the Ujicha Soba and Uji Matcha Anmitsu Ice Cream. The green noodle was made from green tea leaves, but the flavour was quite weak. It was nearly tasteless, but the soy sauce and shredded seaweed helped add back some flavour to it. 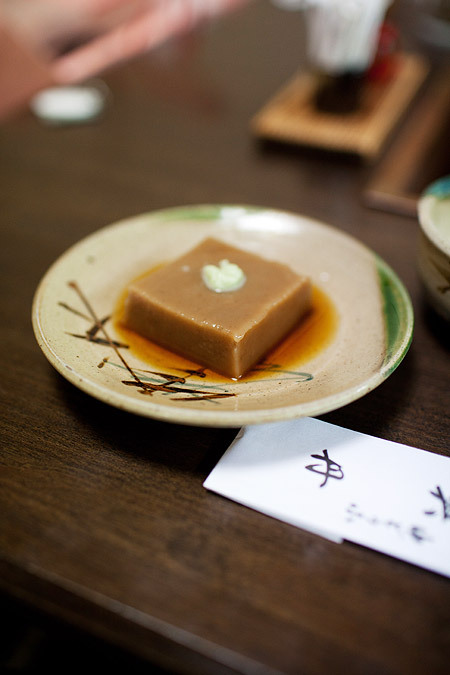 Anmitsu is called the parfait of Japan. 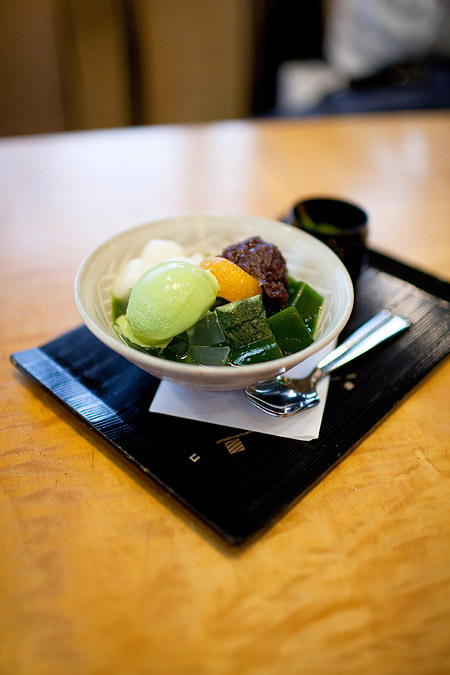 It was served in a special bowl crafted in Kyoto, and contained jelly made from high quality Uji green tea, green tea ice cream, and three kinds of Japanese sweets, topped with green tea syrup.